The 8 Series Walk In Enclosure with Hinged Swivel & End Panel offers space and easy access. 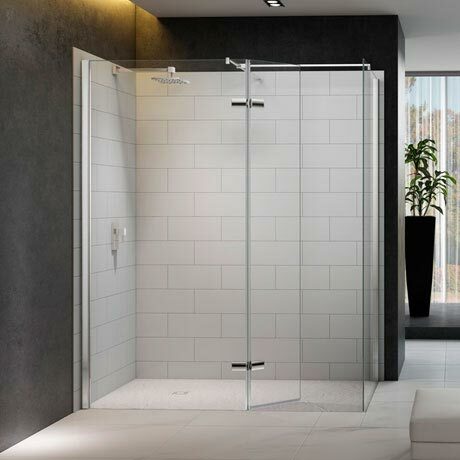 The two beautifully crafted designer hinges give a stunning frameless and minimalist finish while the 350mm swivel panel is adjustable to deflect the shower spray. Each glass panel is treated with Mershield Stayclear, a protective coating ensures the glass maintains its sparkle for years to come.